Results of the 10th Anniversary contests are here! What a month it’s been! 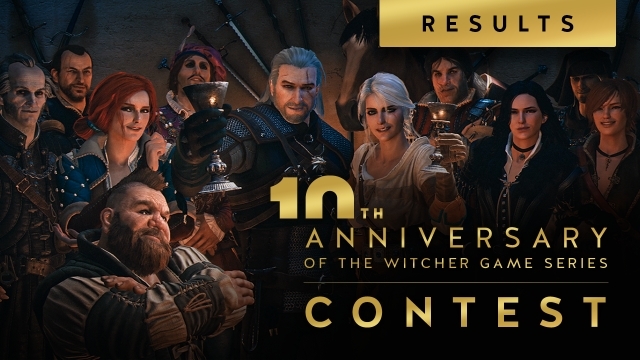 In celebrating the 10th anniversary of The Witcher game series we reconnected with old friends, looked back at our shared memories, played some Gwent, and… okay, not gonna lie to you, there was A LOT of Mahakam Ale, Est Est and Mandrake Moonshine involved. Back to the point though – thank you for all contest entries! We received well over 600 photos of your inventories, almost 300 Witcher selfies and more than 1000 tweets with your best memories of The Witcher games. Let’s be honest, the choice wasn’t easy! We were amused by some of the entries and touched by others but, most of all, we were very, very impressed! You can check the winners of the contests now on the forum, Facebook, Twitter and Instagram – who knows, maybe you’re the one! Congratulations everyone, thanks for celebrating with us and remember – time is fleeting, but memories are forever! Nabbed in 2nd place on twitter! Thank you guys, sorting through all entries must have been quite a task, hoping to see at least some of the winning entries consolidated at one place sometime later.